Set in contemporary rural Ireland, a novel about a woman who blows up her already-dying marriage by sleeping with, and getting pregnant by, a 17-year-old Traveller boy she was teaching to read, and of the intense bond that forms between her and another young outcast in the community. All We Shall Know is a dwarf star of a novel: small, dark, impressively dense. This isn’t to say that it’s difficult. This is the Irish writer Donal Ryan’s third novel, each a work of literary fiction — structurally intricate but not experimental; linguistically alive but not distractingly so — that goes down easy...Rather, All We Shall Know is dense in that its few pages (under 200) contain great richness. The novel displays a narrative and thematic compression that is even more impressive given the novel’s disorderly melodramatic content ... Ryan examines the deadening compulsion and sick pleasure to be found in intimate sniping, where hatred of self is projected outward only to boomerang back, creating a Möbius strip of cruelty. Terribly bleak yet terrifically done ... 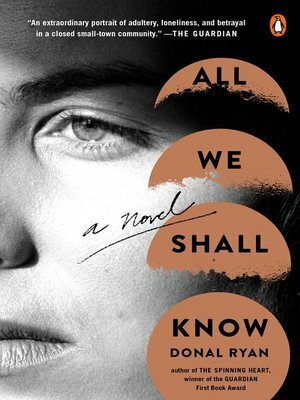 Remarkably, All We Shall Know makes a novel about the heaviness of existence into something that is even, and easy — and, at times, perfect, and right. ...establish[es] Ryan beyond dispute as one of the finest writers working in Ireland today ... It would be a bending of the classical definition to say that these figures are tragic – but in a way they are. As the book approaches its difficult conclusion, the possibility of healing, of atonement, is at least suggested by the narrator’s last, extraordinary gesture. Without disclosing the details of this final scene, it does not seem extravagant to claim it is worthy of Greek drama. That the tragedies of our own age happen in suburban semis, or on Travellers’ sites, does not make them any less cathartic – and Ryan’s choice of narrator, a character both deeply flawed and painfully guilty, shows him working in the great tradition of tragic fiction, his lonely adulteress coming to grief in the same shadowy spaces as Emma Bovary or Anna Karenina. ...a bracingly compact tale of Irish village life whose powerful undercurrents of loneliness and heartache rush along in streams of gorgeous, rippling prose. 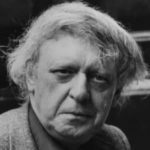 So fine is this novel, and so purely told, that it establishes Mr. Ryan as the heir apparent to the late, great Irish stylists John McGahern and William Trevor ... There are countless passages that are so sculpted and beautiful that one’s lips begin to shape their words unbidden, the way a song can move a crowd to its rhythm ... With this book Mr. Ryan moves to the head of a brilliant young class. What did you think of All We Shall Know?